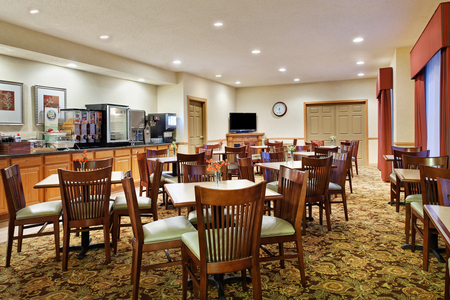 Situated just off I-88, the Country Inn & Suites® by Radisson, Rock Falls, IL is an ideal choice for outdoor adventurers and business travelers with meetings in nearby Sterling. 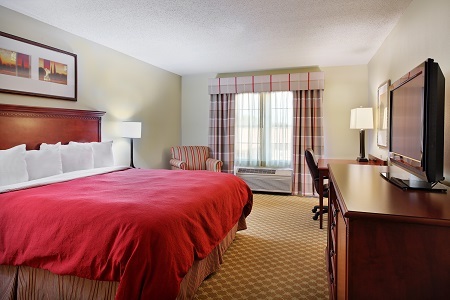 You can start the morning with our free, hot breakfast and then explore nearby attractions like the Ronald Reagan Birthplace and scenic Rock River. Go hiking with the family at White Pines Forest State Park, or hop aboard a riverboat casino for a fun night out. Start the morning with waffles, eggs, fresh fruit and other favorites at our free, hot breakfast. For a quick meal, grab a donut and coffee before heading out the door. For lunch and dinner, you’ll find plenty of restaurants close to the hotel. Try options like Angelo’s Pizzeria, which serves specialty pizzas that are highly popular with locals and interstate travelers alike. You can also order room service from the Candlelight Inn Restaurant, located next door. Outdoor Activities – Located four miles from the hotel, the beautiful Rock River is a popular spot for fishing and boating. Guests can also drive to White Pines Forest State Park, about 40 minutes away, to enjoy year-round hiking and cross-country skiing in winter. Ronald Reagan Birthplace – Interested in American history? Take a tour of former President Ronald Reagan’s childhood home, located 15 minutes away in nearby Tampico, IL. 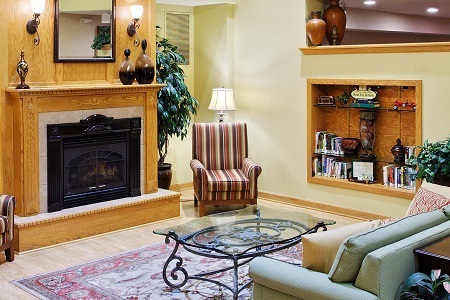 The apartment has been refurbished to look as it did when Reagan was born there in 1911. Wild Rose Casino – After a busy travel or work day, head to Wild Rose Casino for a fun night out. Hop on Highway 30 and drive about 30 miles to reach the casino. An ideal venue for meetings and wedding receptions, our Rock Falls hotel provides event space for up to 50 people. Take advantage of free high-speed Internet access and a 54-inch TV to enhance your presentation. Our friendly staff can also offer catering recommendations and create a personalized Web page for your event.